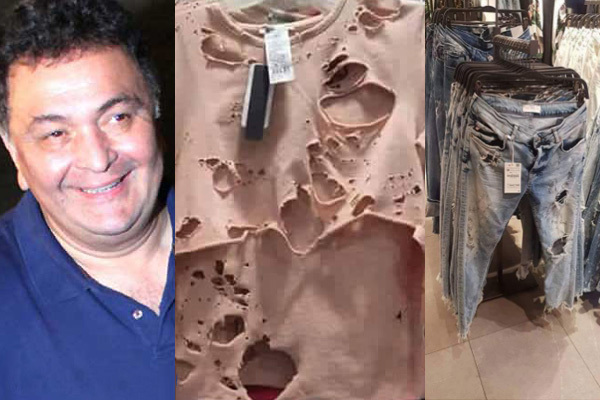 Ace and talented actor Rishi Kapoor was amazed looking at the recent fashion culture. He was shocked looking at the collection on offer at high street store Zara. On seeing the ripped jeans and shredded tops, he took to twitter and expressed his views on it. Rishi wrote; "Buy two get one begging bowl free. Sale at Zara's". You make us crack up every time Sir, but this time it was hilarious. But you would be surprised to know that customers actually buy and wear these clothes. Rishi Kapoor was last seen in ‘Kapoor And Sons’ where he essayed the role of Amarjeet Kapoor (Grandfather). As per few tweets from last week, he is currently reviewing scripts.